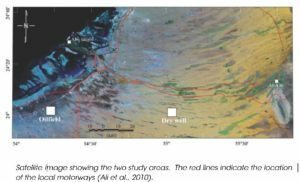 A low frequency passive seismic investigation was conducted using eleven arrays of Güralp seismometers over a producing onshore oil field in Abu Dhabi in the United Arab Emirates. 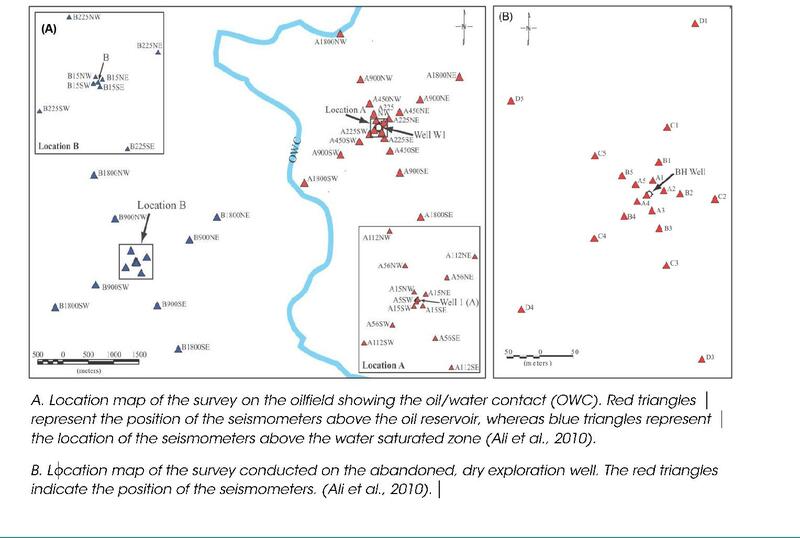 The purpose was to investigate the source of microseism (0.1 –1 Hz) and microtremor (1–6 Hz) signals detected exclusively above the hydrocarbon reservoirs in the region. The arrays were positioned in the vicinity of a producing oilfield and around a dry exploration well. Each array consisted of five Güralp broadband seismometers distributed over an area of 33 km². 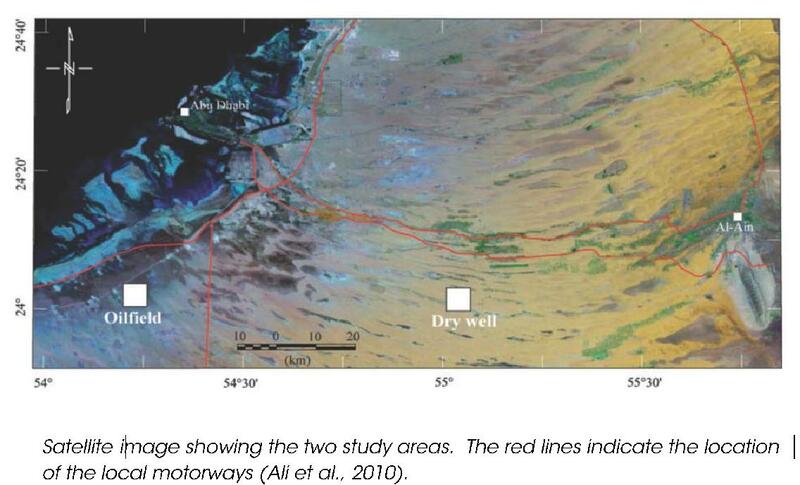 The sites selected for the investigation were a producing oil field and a dry exploration well, both located approximately 50 km southwest of Abu Dhabi city. The sites are owned and operated by the Abu Dhabi National Oil Company (ADNOC). 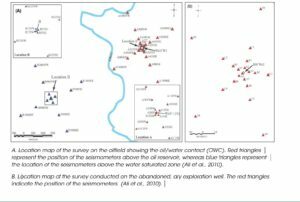 In recent years microtremor signals of approximately 2 – 6 Hz, with a peak around 3 Hz and microseism (0.1 – 1 Hz) have been observed over several oil fields in the region. This investigation aimed to find the origin of these signals. For the producing oil field: Güralp 6TD Broadband seismometers each equipped with an internal 24-bit digitizer and an external global positioning system. The seismometers have a flat frequency response from 0.33–100 Hz, with a sensitivity of 2000 V/m/s. A sampling rate of 200 Hz was used for this site. The instruments were placed on concrete slabs for good ground contact, inside pits to shield them from the wind. The pits, which were up to 0.5 metres deep and 1 metre in diameter, were back-filled and covered for the duration of the experiment. 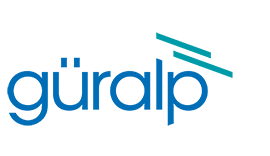 The Güralp sensors have a frequency response of 0.33–100 Hz, with a sensitivity of 2000 V/m/s. A sampling rate of 200 Hz was used over the producing oil field and 100 Hz over the dry exploration well. A 2D seismic array was deployed to connect the two sites and to aid in revealing the particle motion of the waves. Two control seismometers remained at the same locations, one at each site throughout the survey continually monitoring. 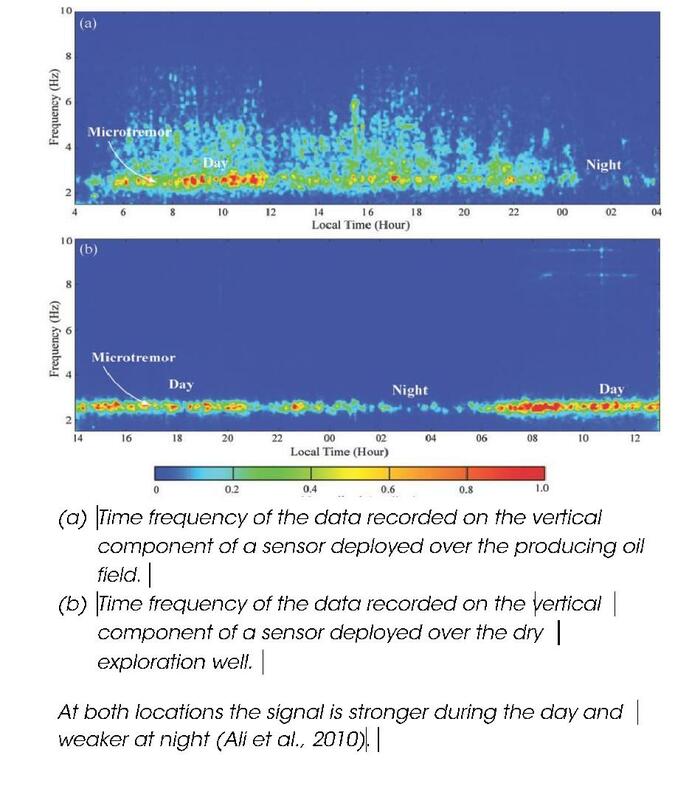 Data obtained from the arrays of Güralp sensors proved that a narrow-band of low frequency signals were present at both the producing oil field and the dry oil well. The results also revealed that a strong correlation exists between the recorded signals and anthropogenic activity. 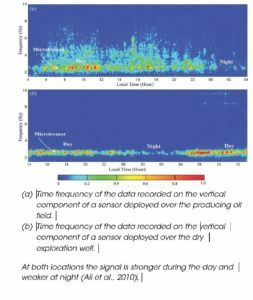 Through the analysis of the recorded day-time and night-time data it was clear that during the day all deployed sensors recorded strong microtremor signals, whereas the same sensors detected only weak signals during the night. The results suggest that the signal originates from surface waves propagating through the shallow sediments from the direction of the nearby motorway. Additionally, from the data it was suggested that the source of the microseisism is the interaction of ocean swells of the Arabian Sea, with the signals originating from surface waves in the direction of the coastline of the Arabian Gulf.